Are You Overpaying for Cell Phone Service? I learned that about 50% of people are doing just that. Ouch! As we head into the expensive holiday season, finding smart ways to slash monthly bills can be a great way to save money now and use the savings to offset our holiday spending. 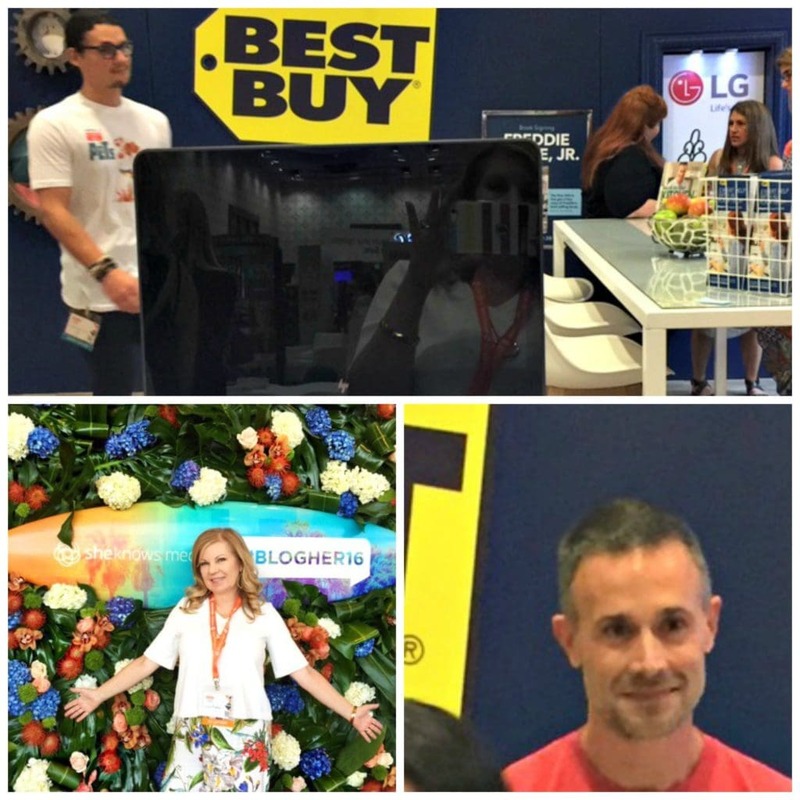 Earlier in the month, I attended BlogHer16 in Los Angeles (I got to meet Freddie Prince Jr.). I was looking around for gift ideas for the holidays for the tech lovers on my list but ended up with a wish list of my own. I love the new Samsung Galaxy Note7 and all of its bells and whistles. I’m a note taker and with the new S Pen feature, I can write, draw, edit and record my thoughts and capture all of my to-dos, right on the phone. No more missing scraps of paper. I think the phone will be an amazing way to stay organized. Other great features include an iris scanner for privacy protection, water resistance, a fast autofocus and lens to take photos and videos when you’re on the move and in the dark, a long-lasting and fast charging battery, and more. * Savings tip- Best Buy has a mobile plan-and-compare tool that can tell whether or not you are overpaying for cell phone service. 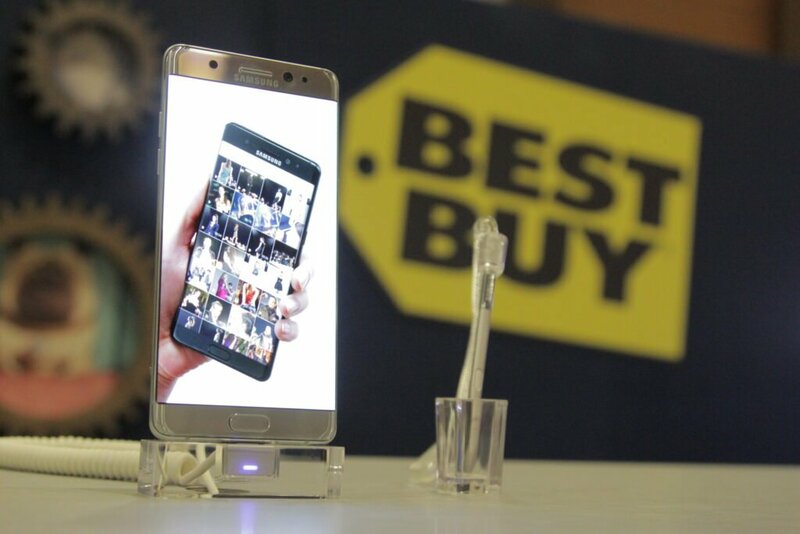 Bring in your cell phone bill to any Best Buy store and ask to have your bill analyzed. People who have their plan analyzed at Best Buy and have changed their plan have saved an average of $40 per month. (That’s an average of $480 per year.) Potentially saving hundreds of dollars is well worth a few minutes at Best Buy to check this out. *Based on an internal survey of plan comparisons conducted from 11/8/15–3/4/16. Are You Overpaying for Cell Phone Service? Find Out at Best Buy! Wow how cool I never knew that. I so need to go by and let them try and save me $$$ on my bill! This is GREAT! I know that we are overpaying but didn’t know that there was a one stop shop at Best Buy to see where you can save money. We are going to check it out. This sounds awesome. We are for sure over paying and every single month they ding us more. Our data gets shut off constantly and we rarely leave our house/wifi. Very annoying. I am going to have to check this out! We have a plan that really works for us, but I am always looking to save money. I’m going to head over to Best Buy to have my bill analyzed. Thanks for the heads-up. I am actually very happy with my service. It’s prepaid but I’m not over paying. I will have to check out Best Buy though and see if they can save me more. 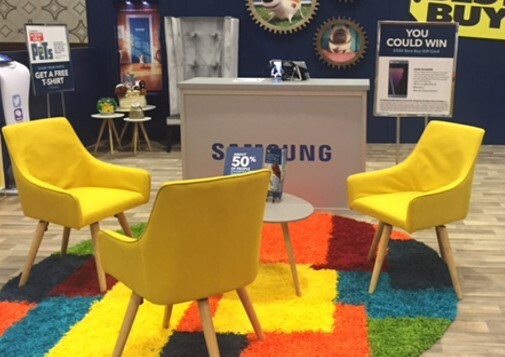 Samsung sure is making waves this year! I’m interested in the Note 7 as well, it’s gorgeous and it’s really functional. It’s like a laptop on the palm of your hands. I think it’s alarming that we overpay our phone service, it’s good to have a deal that works for us! This is awesome information about Best Buy’s mobile plan-and-compare tool. I would love to save $40 a month on my phone plan. Samsung Galaxy Note7 sounds like an awesome cell phone I am going to have to look into. I love the S Pen feature along with the phone being water proof too. I definitely know nothing about this…my husband is always the ones to look for deals! He often goes to Best Buy too! It is great that places like Best Buy offer several options of cell phone carriers because you can find the one that works for you. We have bought all our phones and service at Best Buy. What! Freddie Prinze Jr! Sounds like I missed out on a great time. I know quite a few bloggers that swear by the Galaxy Note. I’ll need to swing by Best Buy and see what they have to offer. This is great for those looking for a bargain and aren’t we all! Nowadays a cell phone is a lifeline. I definitely know we are over paying. I have to wait for our contracts to be completed and we are definitely checking into more affordable alternatives. I’ve heard a lot about how Best Buy gives the best cellphone deal. I’m currently using prepaid service but I will check it out.